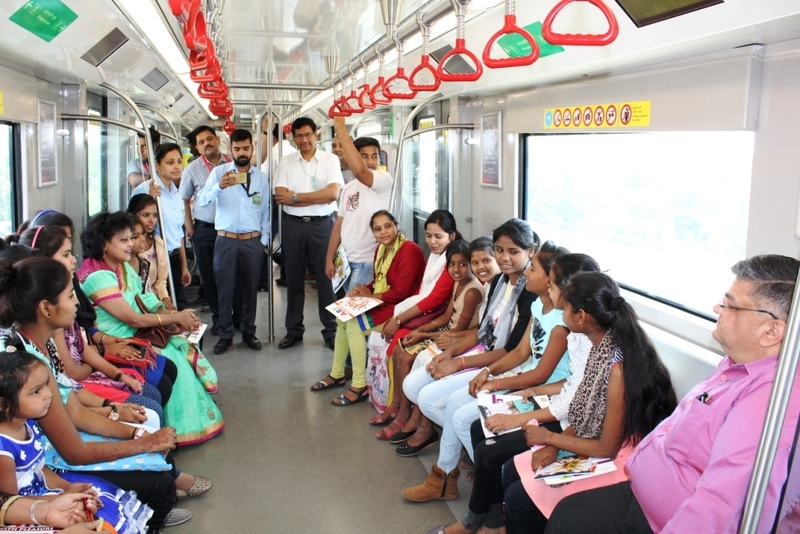 A group of 30 underprivileged children from different sections of society in Lucknow today enjoyed a ‘joyride’ in Metro train between Charbagh and Krishna Nagar Metro stations. All these children enjoyed and expressed their happiness on such a special ‘Metro’ train ride and the free gifts sponsored to them by “WeDeliver” in association with Lucknow Metro Rail Corporation (LMRC). 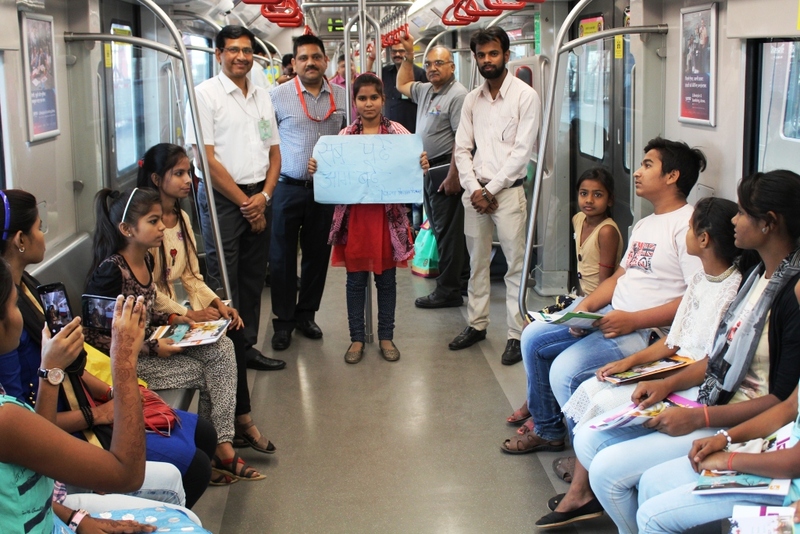 Shri Sushil Kumar, General Manager (Operation)/ LMRC asked the children to inculcate a habit of reading in themselves so that they transform their dreams into reality. 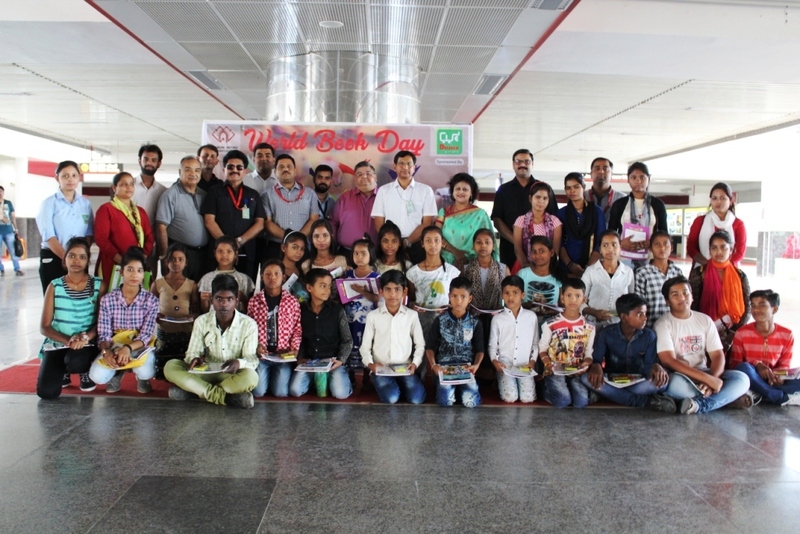 The ‘World Book Day’ is a yearly event which is celebrated on 23rd April by the United Nations Educational, Scientific and Cultural Organisation (UNESCO) to promote reading & publishing of books.